The index opened strong and stayed strong for the entire session of trade making new high with each passing hour to close near the highs of the day, just a few points from 9000 at 8943.00, huge gain of 133.35 points. The broader market was strong with 1033 advances to 595 declines. Range now at 8600-9000. Call option 9100-9400 added 12.21 lacs OI with short covering at 8900 and below strike prices. Put option 9100-8700 added huge 38.36 lacs OI with profit booking at 8600 and below strike prices. 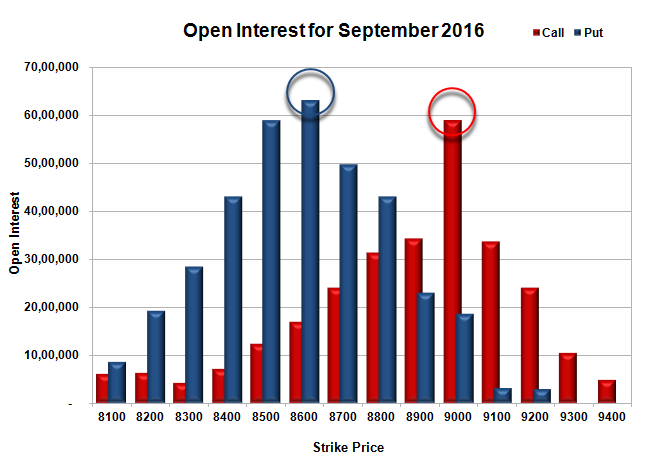 Nifty Open Interest is at 3,38,95,575 up by 7,28,850, with increase in price, probably huge long build-up. Bank Nifty Open Interest is at 29,56,920 up by 53,840, with increase in price, probably long build-up. FII’s bought 5692 contracts of Index Futures, which includes net 9734 contracts long build-up and 4042 contracts short build-up, with increase in net OI by 13776 contracts, includes 34337 longs to 28645 shorts for the day. FII’s Index future open contract as on date is 405826 Longs to 46437 Shorts, Net long 359389 contracts. Initial support now at 8800, with OI of 43.03 lacs and below that at 8700 with OI of 49.75 lacs. 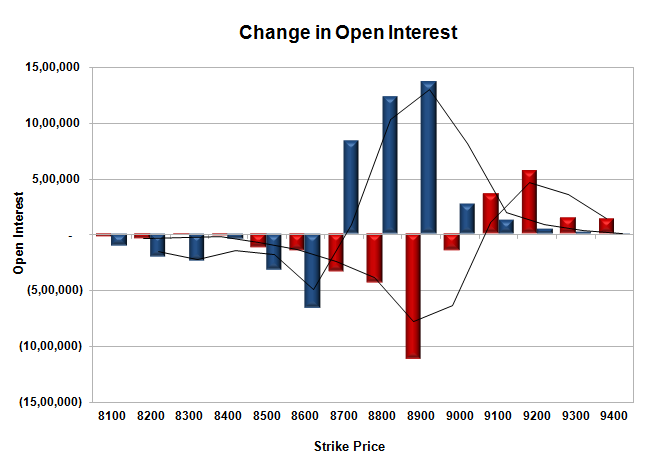 Initial and best resistance at 9000, with OI of 58.88 lacs and above that at 9100 with OI of 33.73 lacs. 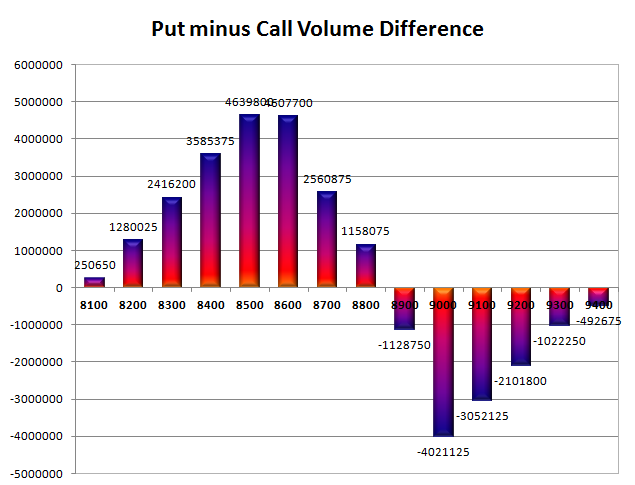 Day Range as per Option Table is 8859 - 8983 and as per VIX is 8883 - 9003 with 8914 as the Pivot.